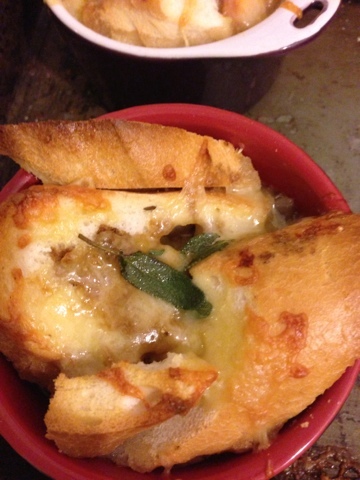 I have been a little bit obsessed with making french onion soup for a long time now. There is just something about the sweet oniony goodness that I cannot ignore. 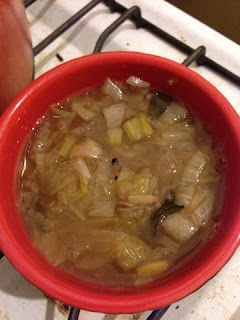 I loved the idea of 'as many different' types of onions' as possible and it allows for varying taste and texture. I have just recently discovered worcestershire sauce so this was a great opportunity to enjoy it. This recipe was so easy (as usual) but tastes amazing (also as usual), it really is something special and made to share. Put the butter, 2 glugs of olive oil, the sage and garlic into a heavy bottomed, nonstick pan. 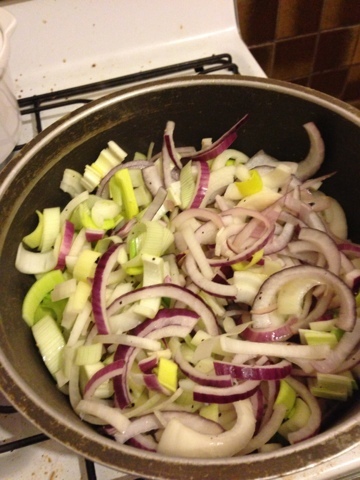 Stir everything round and add the onions, shallots and leeks. Season with salt and freshly ground black pepper. Place a lid on the pan, leaving it slightly ajar, and cook slowly for 50 minutes, without coloring the vegetables too much. 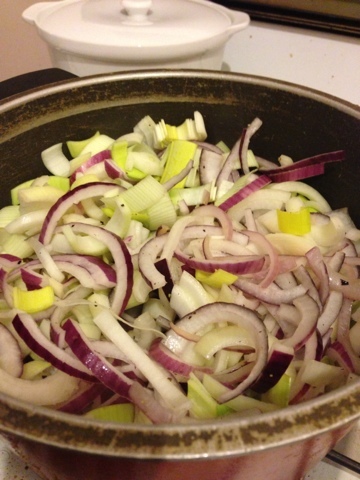 Remove the lid for the last 20 minutes, the onions will become soft and golden. Stir occasionally so that nothing catches on the bottom. Having the patience to cook the onions slowly, slowly, gives you an incredible sweetness and an awesome flavor, so don't be tempted to speed this up. Preheat the oven or broiler to maximum. Toast your bread on both sides. Correct the seasoning of the soup. When it's perfect, ladle it into individual heatproof serving bowls and place them on a baking sheet. 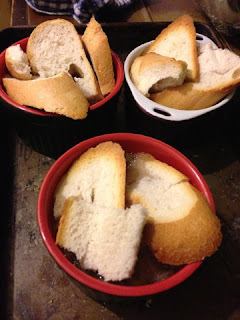 Tear toasted bread over each bowl to t like a lid. Feel free to push and dunk the bread into the soup a bit. Sprinkle with some grated Cheddar and drizzle over a little Worcestershire sauce. Dress your reserved sage leaves with some olive oil and place 1 on top of each slice of bread. Put the baking sheet into the preheated oven or under the broiler to melt the cheese until bubbling and golden. Keep an eye on it and make sure it doesn't burn! When the cheese is bubbling, very carefully lift out the baking sheet and carry it to the table. 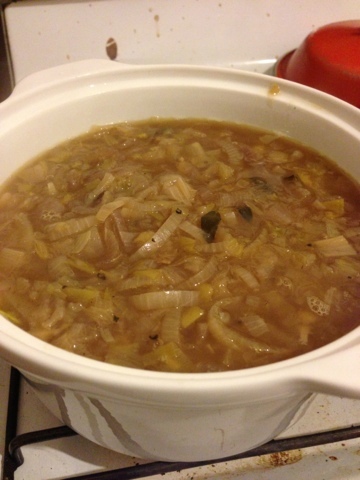 Changes Made: I halved the recipe and it was still enough for 3 + a lot of leftovers. Results: Devine! This was a really special dish which invoked all sorts of warm and fuzzy emotions. Perfect for an Australian winter day. Next Time: Nothing, and cannot wait!